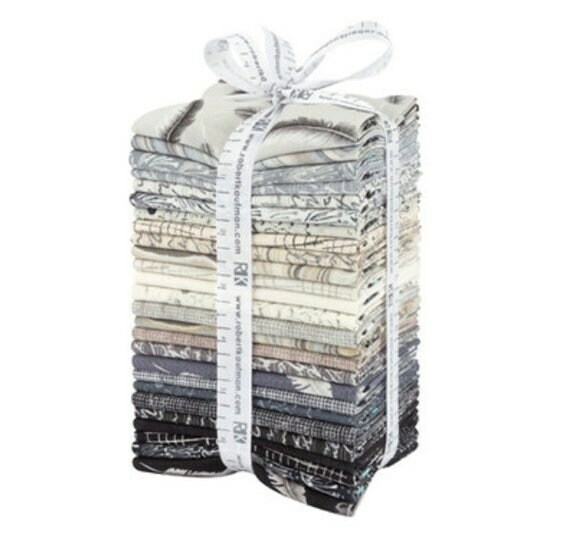 This listing is for 26 precut fat quarters from the "Chalk & Charcoal" collection designed by Jennifer Sampou for Robert Kaufman Fabrics. Each fat quarter measures approximately 18 in. x 21 in. and features a different print in the collection--no repeats.